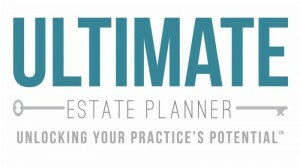 The “permanent” estate tax exemption has taken many clients’ focus away from estate tax planning. Instead, higher income tax rates and the new tax on “net investment income” have turned clients’ attention toward reducing potential taxes on their capital gains. One way capital gains taxes can be significantly reduced is through proper estate planning - - utilizing a strategy known as The Optimal Basis Increase Trust (or “OBIT”). This combines the benefits of the typical A-B or Irrevocable Trust with the ability to gain a basis step-up for trust assets upon the trustmaker’s or beneficiary’s death. Planners are increasingly using formula general powers and QTIP trusts and Clayton QTIP elections to exploit a step up in basis at the second spouse’s death. But, there are other, possibly better ways to legitimately use this $5+ million basis increasing coupon. What techniques allow clients with separate property in community property states and those in separate property states to generate a step up in basis for either spouse’s chosen assets at the first death? How do clients avoid a step down in basis? Can you compare and contrast the risks and rewards to these various techniques? Where is the line drawn in granting general powers of appointment in other family members to generate a step up in basis? How do we effectively plan “upstream” without running afoul of step transactions or the one year rule of IRC Section 1014(e)? To answer these questions (and more), we have enlisted the help of nationally recognized estate planning attorney, Edwin P. Morrow, J.D., LL.M., MBA, CFP®, RFC®. Join us and Ed for a very special 2-part presentation entitled, “Everything You Need to Know About OBITs & Upstream OBITs”. What are the problems in relying on QTIP or General Power of Appointment marital trusts to get a second basis step up? What are the hidden traps and unanswered questions surrounding Rev. Proc. 2001-38? How can you use formula general testamentary powers of appointment to achieve a second step up for bypass trusts, while avoiding a “step down” in basis? How may you use limited testamentary powers of appointment to achieve the same result by triggering the Delaware Tax Trap? How should you cap powers of appointment to avoid additional federal or state estate tax (and why simple caps should be avoided)? What techniques can you use to ensure optimal basis increase at the first death (and which should be avoided or, at least, not oversold)? How capital gains are typically trapped in non-grantor trusts, even “all net income” or simple trusts - - subject to 3.8% surtax as well as 39.6% / 20% rates - - and how can you get around this trapping to neutralize and enhance ongoing trust taxation? When should you consider variations of “beneficiary-defective” clauses to transfer income taxation to beneficiaries and how? How can you convert existing B Trusts and other Irrevocable Trusts to the “OBIT”? How does IRC §1014 work for any upstream gifting and estate inclusion? What are the pros and cons of granting presently exercisable or testamentary General Power of Appointment trusts (also known as Joint Exempt Step-Up Trusts or “JESTs”) to get a basis step up for either spouse’s assets at first death? What are the pros and cons of spousal “Estate Trusts” to do the same? Can intervivos QTIPs be taxable in the grantor’s estate as well? How viable are Community Property Trusts? You will learn to communicate the contrast of these vs. safer irrevocable trust alternatives that have greater upside potential. Why the Irrevocable “Upstream” Optimal Basis Increase Trust is the natural successor to basic Spousal Lifetime Access Trust (“SLAT”) planning. How may you use limited testamentary powers of appointment to achieve the same result by triggering the Delaware Tax Trap? Are there benefits to using another state’s laws, such as Arizona or Delaware, in this area? Do DAPTs have a role in basis planning? How do you work in leverage to turn a step up for $10 million of assets at a beneficiary’s death into a step up of $100 million or more? We’ll go through the §2053 regulations so you know the requirements, pitfalls and unanswered questions of getting basis for debt upon a powerholder’s death. What is the differentiation between an Upstream OBIT and standard Irrevocable Grantor Trust planning? How does it contrast with a BDIT (beneficiary defective inheritor’s trust)? How do we ensure continued asset protection for the settlor’s families?Who is the grantor for income, estate, gift and state creditor protection law purposes upon the lapse or exercise of different powers of appointment and why it matters. How to safeguard upstream planning trusts against beneficiary insolvency or Medicaid payback in states like California that have passed creditor friendly law surrounding powers of appointment. How to effectively exploit the generation skipping transfer tax exemption in conjunction with any upstream planning. What is the Uniform Power of Appointment Act making its way through the states and how would it change common law to be more creditor friendly and attack creative planning with general powers of appointment? How to overcome these issues through drafting if your state passes it. How can you convert existing B Trusts and other Irrevocable Trusts to the “Upstream OBIT”? Pros and cons of using trustee/trust protector powers vs. decanting vs. non-judicial settlement agreement and court reformations. Edwin Morrow, J.D., LL.M., MBA, CFP®, CM&AA® is a manager of Wealth Strategies at Key Private Bank. As one of Key’s national wealth specialists, Ed works with local Key Private Bank financial advisory and trust teams nationwide. He is also national manager of wealth strategies communications for the private bank. He assists with in-depth reviews of high net worth clients’ estate, trust, asset protection and tax planning in order to better preserve, protect and transfer their wealth in a tax efficient manner. Ed has been with Key since 2005. 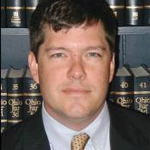 He was previously in private law practice in Cincinnati, Ohio, concentrating in taxation, probate, estate and business planning. Other experience includes drafting court opinions for the U.S. District Court of Portland, Oregon as a law clerk. Thanks for this presentation! It was excellent and the handouts were very clear. The written materials with this program are a goldmine of information! You also have the opportunity to purchase the legal forms and clauses needed to implement the Optimal Basis Increase Trust (“OBIT”), which includes this program. The Optimal Basis Increase Trust (“OBIT”) Legal Forms & Clauses which includes a 28-page modifiable Microsoft Word document with all of the necessary provisions and drafting instructions to implement the OBIT Trust for your clients. A 126-Page Technical Training Outline so that you can have what you need to be technically sound and educated on this OBIT Trust strategy. An “OBIT” Marketing Handout which is a modifiable one-page flyer summarizing the OBIT Trust strategy, its benefits and why clients should consider this strategy in their overall estate planning. This flyer can be used with clients, prospective clients and professional referral sources. “Everything You Need to Know About OBITs & Upstream OBITs”, two 90-Minute Presentations with Speaker, Edwin Morrow, J.D., LL.M., MBA, CFP®, RFC®. You will receive printed handout materials and an audio CD of the recording of this unique program to help kick-start your implementation of the OBIT in your practice and what better way to do that than to learn right from the expert in this area?! NOTE: This is NOT a software program and there are no automated/macro-type functions with our forms. You can get all of this for $995. Monthly payment plans are also available. For more information and to purchase the OBIT Legal Forms & Clauses Package, click here.